The staff at Chadron Primary Building have decided that instead of having students purchase a gift for a gift exchange with their classmates at their class Christmas parties December 21st, students are encouraged to bring non-perishable foods to put under our Christmas tree. The food items that are received will be donated to a local food pantry and will be distributed to families in our community who are in need. If your child wants to bring a food item to school, we will be collecting these food items from Thursday, December 1st thru Friday, December 16th. Thank you for your help in making our “Kids Caring at Christmas” Project a success. Chadron Primary School students were invited to the Dawes County Courthouse to decorate the tree in the main entry way for the annual Parade of Lights. Students enjoyed the beautiful November weather as we walked to the courthouse and the children put their hand made ornaments on the tree. Students were also treated to a candy cane for the return trip to school. Thank you to the staff at the courthouse; if you are out and about here in town, please stop by the courthouse and take a look at the work of our talented students. Happy Holidays! 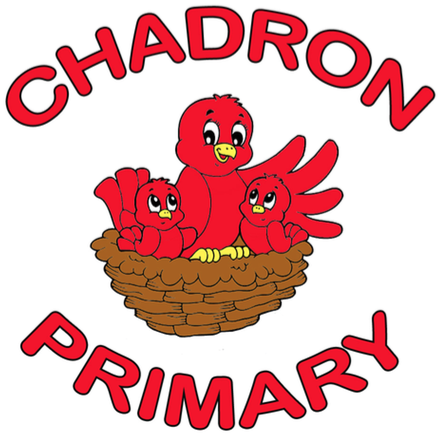 Chadron Primary School and our Parent Involvement group is on the lookout for Lego Bricks... The group is planning a Penny Carnival set for February 17, 2017 and as a part of the games and activities we are seeking new or gently used Lego bricks. 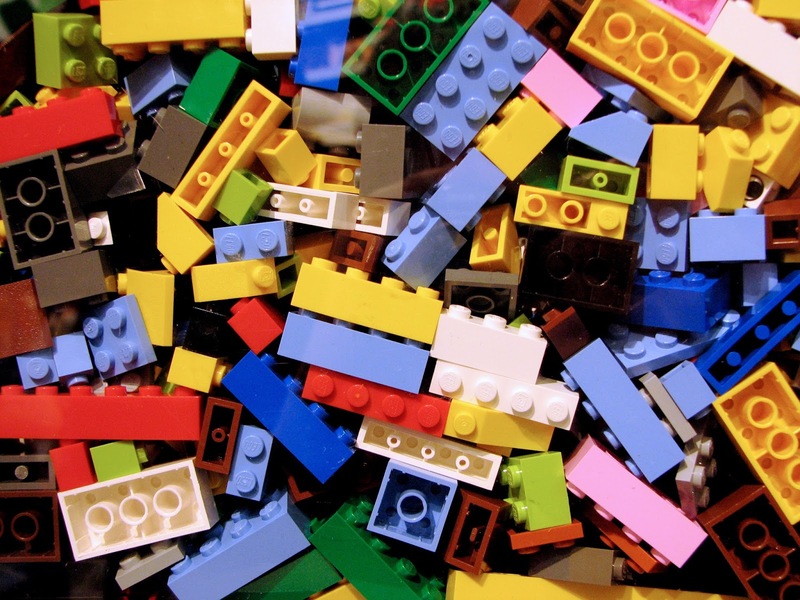 If you would like to purchase and or donate any Lego bricks you can send them with your child or drop them off at the Chadron Primary School Office. 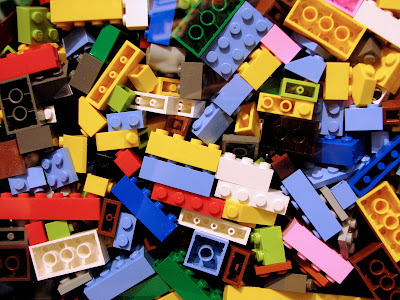 We will be accepting any Lego brick donations from now until the date of the Penny Carnival. We thank you in advance for your support and participation in this exciting event and the theme for this year's Penny Carnival is "Building Friendships and Families". If you would like to volunteer for one of our committees it is not too late - we have some upcoming Parent Involvement meetings set for 5:00 p.m. on December 15th and January 19th. We would like to invite everyone to a Parent Involvement Meeting Thursday, November 17th at 5:00 p.m. Our parent group is excited to continue work on planning our Penny Carnival. We have established some committees to assist in the organization of the Penny Carnival and would love to have any other families join in the fun! We look forward to seeing you on Thursday night in the Chadron Primary Library. As a part of a community health initiative, the nursing class at the University of Nebraska Medical Center - College of Nursing is partnering with the Panhandle Public Health District and Scottsbluff County Health Department to raise awareness about the hazards of lead poisoning in young children. Following are some resources that help promote the health and wellness of children. Please check out the resources below and share with others to enhance awareness about the hazards of lead poisoning in young children. Thank you for protecting Nebraska's children from lead poisoning and the dangers associated with lead. Chadron Primary would like to extend a HUGE thank you to all of the families that helped contribute to our Box Top collection. Our school collected a total of 6,912 Box Tops which calculates to over $600.00 for our school to use for playground balls, and other curricular supplies. 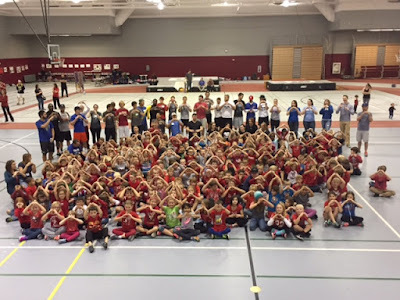 The children had a fun time competing against other classrooms; however Mrs. Hendrickson's second grade class prevailed as the winners collecting a total of 1, 054 Box Tops. 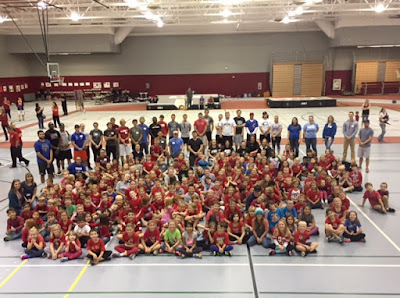 Again - thank you so very much for your help in supporting this great program! 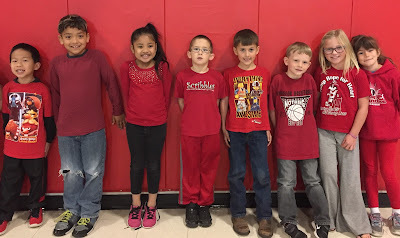 Mrs. Landreth's class has been discussing democracy in Kindergarten and today they exercised their right to vote! They had ballots, voting stations, and will celebrate the vote with a celebration. The children have been excited to learn about voting and having their voices heard. What a fun activity! And the winner is... Popcorn!! Last Day of our Recycle Bowl is FRIDAY!!!! Thank you to everyone who contributed to our Recycle Bowl here at the Primary Building. Friday is the last day to bring recyclables to school. The last chance to support our school is at the Recycle Round Up on November 12th and 13th at Farmers State Bank. 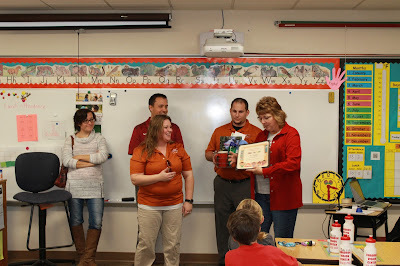 Mrs. Stephanie Cogdill (2nd grade teacher) was recently awarded Teacher of the Month honors. This award is sponsored by Upper Niobrara White Natural Resources District as well as Eagle Radio (KCOW, Double Q Country, B 94.7, and Panhandle Post). A gift basket and treats for Mrs. Cogdill's class were also provided by Ta-Da Quilt Shop and Art Studio. Mrs. Cogdill has been an amazing teacher with Chadron Public Schools and we at the Primary Building wish to congratulate her in this well deserved honor! Once again we celebrated model citizens with our Cardinals of the Month breakfast! 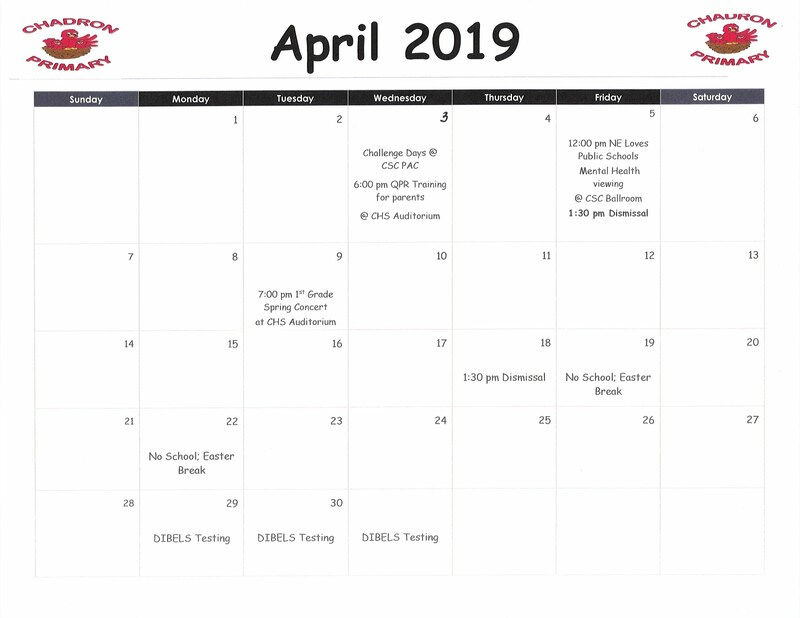 Our October students demonstrate our three Cardinal Rules on a consistent basis and we get excited to honor them with a breakfast in the teachers' lounge. Front Row: Peyton F., Ellie D., Olivia M., David L., and Phillip E.
Thank you to all of the families and community that supported our Jump Rope for Heart day. The children raised a tremendous amount of money and had a great time at the event! Thank you again! Red Ribbon Week - "Be a Hero, Don't Do Drugs"
Thursday was a very colorful day at Chadron Primary as we continued to celebrate Red Ribbon week in style. Students and teachers had the option to dress in Red, White, and Blue, camouflage, or as super heroes. It is always so much fun to see the children and staff enjoying the week. Red Ribbon Week - "Jump Away from Drugs"
Wednesday we celebrated Red Ribbon week by wearing red and our jumping shoes as it was also our Jump Rope for Heart event. Red Ribbon Week - "You'd Be Crazy to Do Drugs"